This Information Sheet provides information on Topic 1: Climate Change Introduction. In the Introduction to this module, you would have been provided with an overview of the content of the training programme and why climate change is a critical area of consideration for project implementation. This topic focuses on a more detailed introduction to climate change in the context of Mohale’s Hoek. 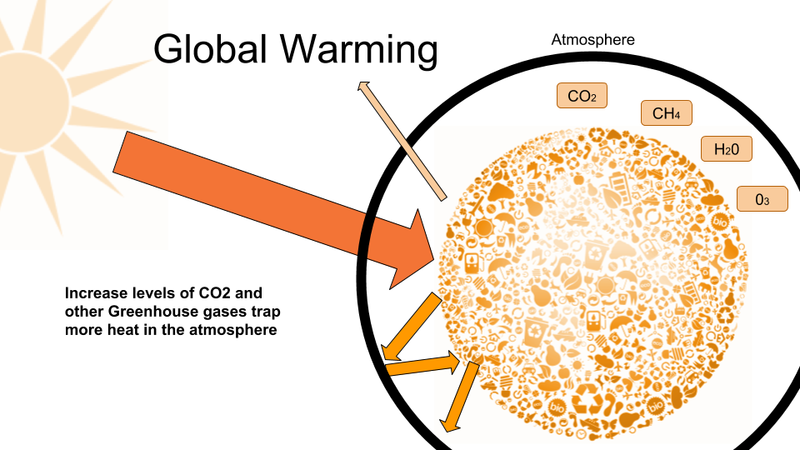 To understand climate change, you first need to understand the Greenhouse Effect, why Greenhouse Gasses are important and how they cause global warming. Based on this background it is possible to review the current climate change policies in Lesotho to understand why particular areas of risk have been identified as priorities. 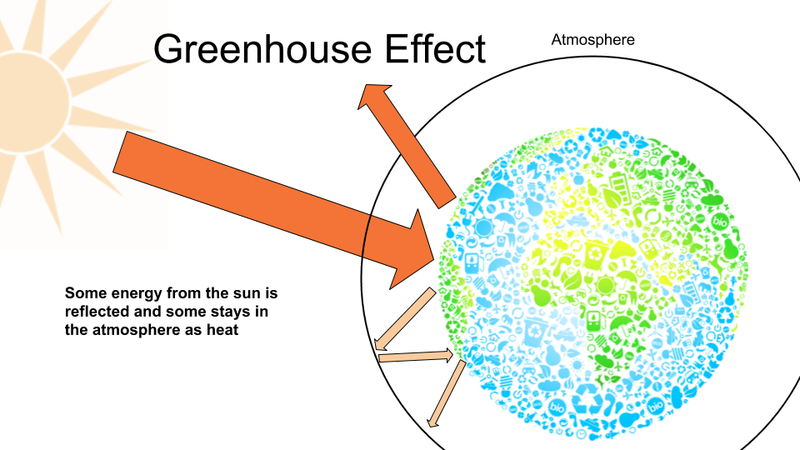 The greenhouse effect is a naturally occurring phenomena in the earth’s atmosphere. As energy from the sun enters the atmosphere, some of this energy is reflected back into outer space and some energy is trapped in the atmosphere. This flow of energy traps enough heat in the atmosphere to allow for life on earth to flourish. The energy is trapped in the atmosphere partly due to the presence of greenhouse gases. Greenhouse gases include water vapour, carbon dioxide, methane, and others. Human activities are increasing the amount of greenhouse gasses in the atmosphere. The burning of coal to generate electricity, burning of petrol in cars, some chemical processes in industries, and many farming activities all add to the amount of greenhouse gasses in the atmosphere. This increase in greenhouse gases is causing more energy to be trapped in the atmosphere. You can think of the atmosphere as a blanket that is getting thicker and thicker, as more greenhouse gasses are released into the atmosphere. As more energy gets trapped, the atmosphere heats up. This heating up process is referred to as global warming. As the earth’s atmosphere gets hotter, there are impacts on how global weather systems work. Some areas will experience large increases in temperatures while others will have less marked increases in temperatures. Some areas will get more rain, while others will get less rain. These large scale changes in long term weather patterns is what is referred to as climate change. Climate change is expected to reduce the quantity of water available for people, industry and agriculture. It may also contribute to the deterioration in the quality of water available. In addition climate change may lead to conditions favourable for the spread of water-borne diseases. Climate change is predicted to increase temperatures and slightly decrease total rainfall in Lesotho. 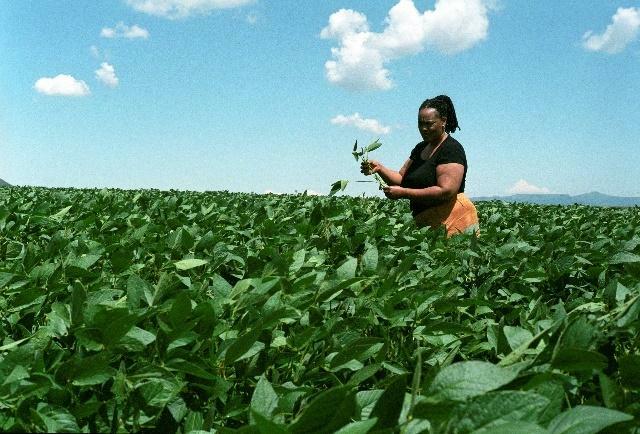 As most crop-based agriculture in Lesotho is rainfed, climate change is expected to impact on the yields of crops and impact on food security. Increased flooding may also occur in parts of Lesotho, which would negatively impact the agriculture sector. However, in some areas that are currently frost prone, increases in average temperatures may increase the yields of certain crops such as maize. Climate change may also expand the extent of areas subject to certain agricultural pests. Climate change may lead to increased incidences of heat stress. It could also change the distribution of vector-borne diseases and disrupt agricultural production systems leading to increased food insecurity. In addition the frequency and intensity of extreme weather events is likely to increase leading to increases in injury and deaths associated with these events. Biomes comprise of collections of plants and animals specifically suited to the climate and environment of the biome. Climate change will change the extent and distribution of the grassland biome in Lesotho. 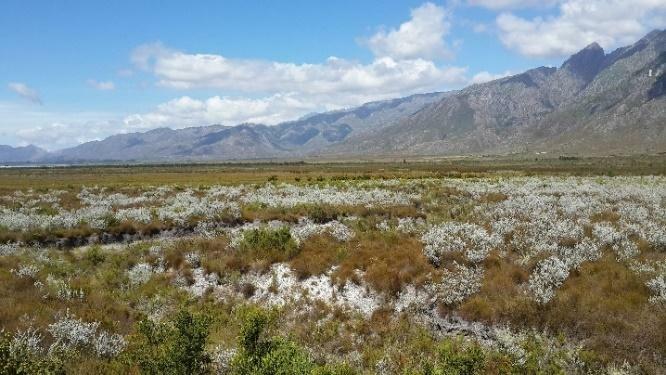 The Grassland biome is one of the most threatened biomes in Southern Africa. Both urban and rural human settlements will be impacted by climate change. In urban areas, informal settlements will be particularly vulnerable to extreme weather events. Rural areas are likely to be negatively impacted by reduction in agricultural productivity increasing food insecurity. Negative impacts in rural areas may also increase rural-urban migration. Climate related extreme events such as floods, drought and heat waves are expected to become more common and will have negative impacts on infrastructure and populations. Incorporating the projected effects of climate change into disaster management and preparedness plans is important so that these events are proactively prepared for and managed. The United Nations Framework Convention on Climate Change (UNFCCC) is an international treaty initiated in 1992 at the Rio Earth Summit. The UNFCCC provides guidance on setting protocols or agreements on greenhouse gas reductions. There are 197 Parties to the Convention that have met annually since 1995 at the Conference of the Parties (COP) to assess progress in combating climate change and agree to protocols and agreements in response to climate change. The Paris Agreement is the most recent of these agreements. On 4 November 2016, the Paris Agreement came into force. The Paris Agreement is significant as it is the first international agreement on climate change response that all countries have committed to. Through the agreement, countries have agreed to reduce their emissions so that, in the long term, the global temperature increase is limited to 1.5 degrees Celsius above pre-industrial levels. Countries have also committed to report on both their carbon emissions (mitigation efforts) and their adaptation responses. To keep track of these efforts, countries are required to develop their nationally determined contributions, which map out their plans to reduce their emissions in line with the international goal. Countries are also required to develop adaptation plans that include their adaptation priorities and implementation interventions. Countries are required to submit this information every five years. Lesotho’s Nationally Determined Contribution (NDC) focuses on both mitigation and adaptation targets and activities that aim to increase the country’s resilience, reduce carbon emissions, and transition to a low carbon pathway (Lesotho Meteorological Services 2017). On the mitigation side, Lesotho has set a target of reducing its carbon emissions by 10% by 2030, in relation to its business as usual scenario of 5.713 tonnes of CO2e (Its unconditional target). If external support is secured, through finance, capacity building, and investment and technology, Lesotho’s NDC states that an additional 25% reduction in emissions is possible by 2030 (Its conditional target) (Lesotho Meteorological Services 2017). The NDC acknowledges that energy-related CO2 emissions in Lesotho are expected to increase because of the increasing demands and dependence on fossil fuels. In order to reduce carbon emissions, Lesotho will need to encourage the use of renewable energy, carbon capture and storage, and new transport technologies (Lesotho Meteorological Services 2017). On the adaptation side, although there are no specific targets set, the NDC prioritises the adaptation actions that have co-benefits with climate change mitigation, especially those that reduce emissions and contribute to carbon sequestration (Lesotho Meteorological Services 2017)(Lesotho Meteorological Services 2017, 8). Lesotho’s NDC highlights that the adaptation actions for Lesotho have been well identified in the country’s National Adaptation Programme of Action (NAPA) (Lesotho Meteorological Services 2017). 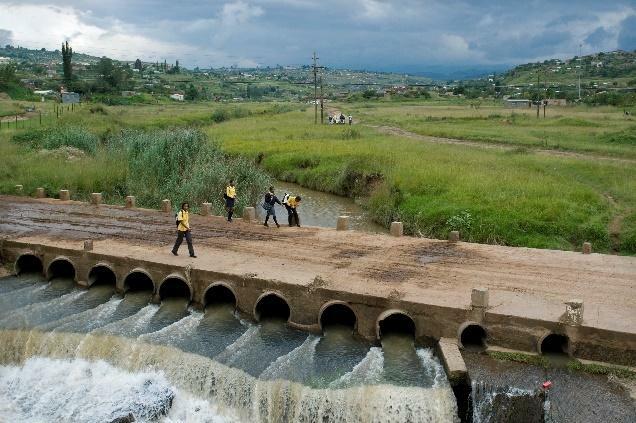 The NDC highlights the eleven projects identified in the NAPA, and identifies a set of adaptation needs for implementation, which include capacity building, technology, and research support (Lesotho Meteorological Services 2017). Lesotho’s National Climate Change Policy (NCCP) 2017-2027 was released in 2018. The NCCP was prepared by the Ministry of Energy and Meteorology, with technical support from the Government of Ireland, through the European Union. The NCCP aims to “build climate change resilience and low-carbon pathways including a prosperous sustainable economy and environment in Lesotho” (Lesotho Meteorological Services 2017, 5). The main objective of the NCCP is: “to ensure that all stakeholders address the causes and impacts of climate change through the identification, mainstreaming and implementation of suitable adaptation and mitigation initiatives while promoting sustainable development”(Lesotho Meteorological Services 2017, 5). The NCCP notes that Lesotho is ranked as one of the most climate change vulnerable countries according to the ND-GAIN Country Index, scoring high on vulnerability, and low on readiness to respond to climate change. It therefore emphasises the importance of developing a climate change strategic plan for Lesotho (Lesotho Meteorological Services 2017). 1 High frequency and magnitude of extreme weather events. Strengthen climate early warning systems and improve climatic information, including research and systematic observations. 2 Climate change is projected to negatively impact on water resources in Lesotho, as diminishing rainfall will lead to the shrinkage of surface and ground water resources. Enhance the resilience of water resources by promoting integrated catchment management, ensuring access, supply and sanitation. 3 Climate change expected to have significant impacts on the agriculture sector and consequently food insecurity. Promote climate-smart agriculture and food security systems. 4 66% of fuels used are from biomass and the other 34% is from fossil fuels such as coal, gas, petrol. Develop renewable energy sources and increase energy. 5 Mining is a significant contributor to the economy. It’s dependence on climate sensitive sectors such as water, energy and transport makes it vulnerable to climate change impacts. Promote climate resilience in mining. 6 The manufacturing sector is vulnerable to climate change because of its dependence on climate sensitive sectors such as energy, water and transport networks. Promote climate resilience and reduce greenhouse gas emissions in manufacturing. 7 The tourism sector is a very sensitive sector because of its close relationship with the environment and climate. Lesotho has plenty of tourism assets. Climate proof and increase efficiency of the tourism sector. 8 Increasing drought, forest fires, pests and insect populations are a major risk for forests. Climate change may result in the destruction of natural vegetation such as trees. Enhance best practice for forestry and rangelands to mitigate and adapt to climate change. 9 Lesotho is mainly grassland with high levels of endemism. Climate change can impact on the resilience and sustainability of the biodiversity. Increase the resilience of environment, ecosystems and biodiversity. 10 Future warmer climate could lead to an invasion by tropical diseases such as malaria. On the other hand, dry conditions predicted in the spring and summer months could increase incidences of respiratory tract infections such as tuberculosis, and waterborne diseases. 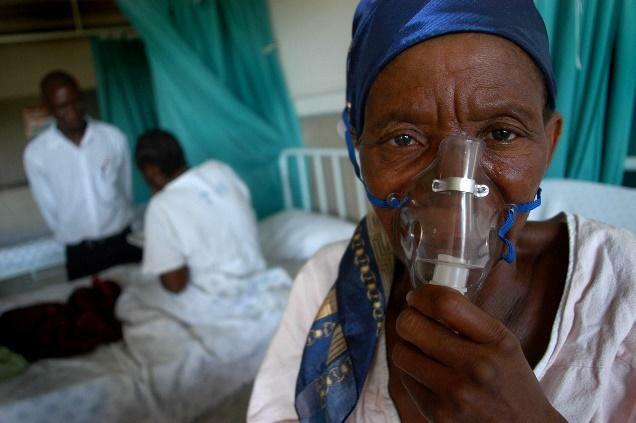 Address climate change impacts on human health. 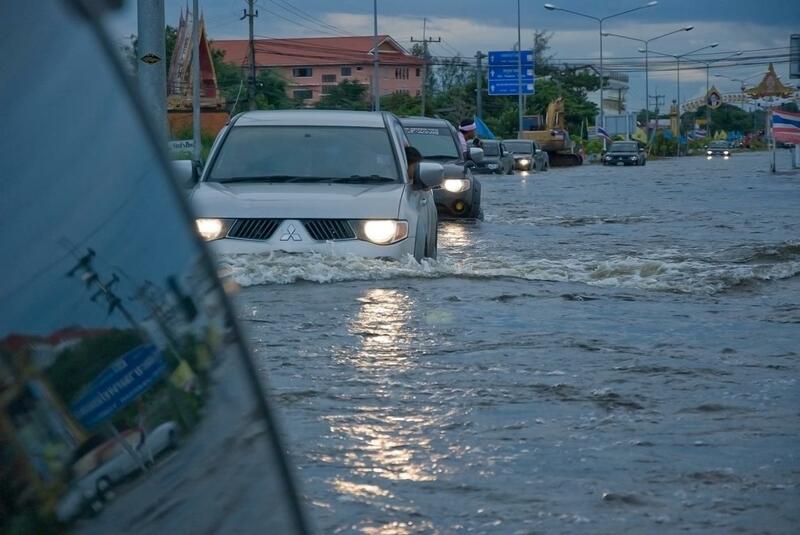 11 Extreme weather events could affect the transport system through infrastructure damage and disruptions to service delivery. Promote low-carbon and climate resilient transport systems. 12 Populations residing in flood prone areas, near paved roads and informal dwellings are at greater risk to climate hazards. 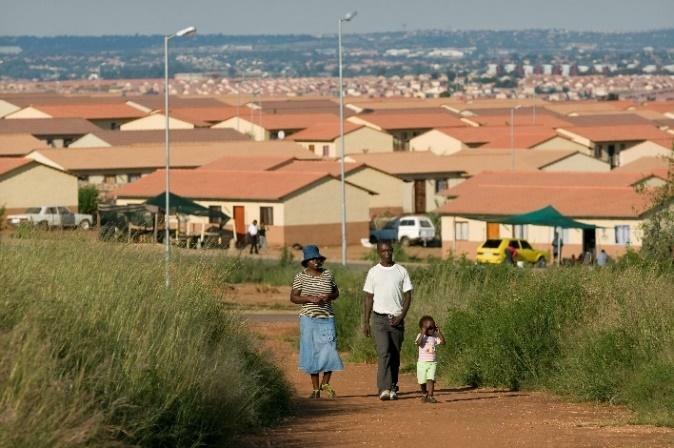 Climate proof human settlements and infrastructure. 13 Lesotho‘s natural systems and cultural heritage are currently threatened by a multitude of challenges; climate change is expected to exacerbate the these challenges. 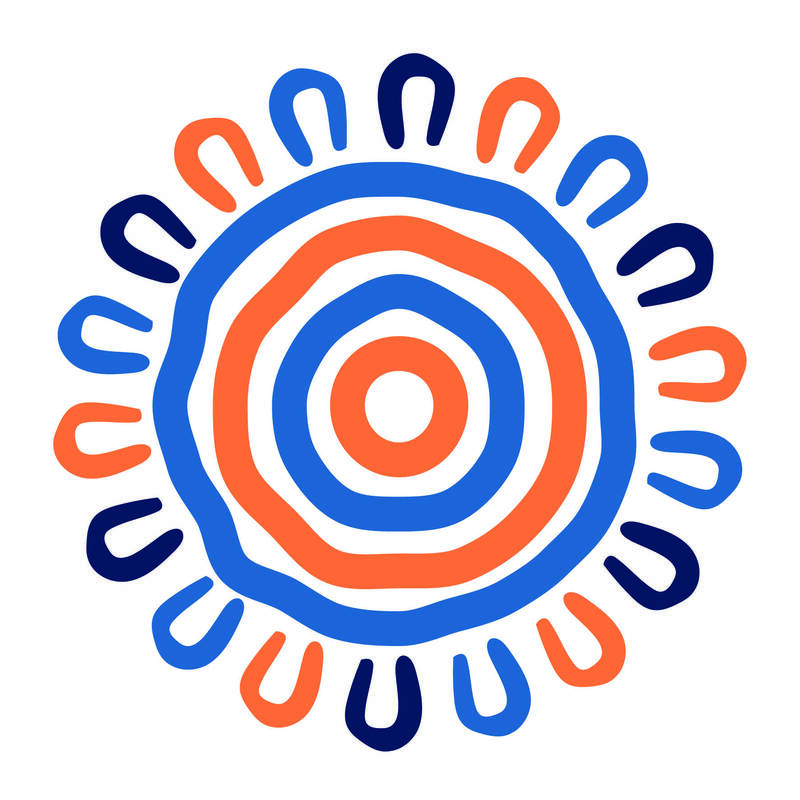 Enhance the resilience of natural and cultural heritage. 14 Climate change impacts will differ from one agro-ecological area to another. Promote an agro–ecological / district / local level approach to addressing climate change. the Lesotho Energy Policy 2015. The NAPA (2007) identifies the agriculture, energy, water, forestry, gender, infrastructure and human health sectors as being extremely vulnerable to climate change. The NAPA then provides a list of prioritised climate change adaptation plans in response to these key sectors. The Lesotho Energy Policy 2015 aims to promote energy efficiency and renewable energy so that energy in the country will be supplied in a sustainable manner with the least possible environmental impacts (Ministry of Energy and the Environment 2015). Furthermore, the National Forest Policy (2008) aims to increase tree cover in Lesotho which will increase carbon sequestration in the country. Climate Change Large scale changes in long term weather patterns. Greenhouse Effect A naturally occurring phenomena in the earth’s atmosphere where energy is trapped, by greenhouse gases, that allows life to occur on earth. Greenhouse gases include Water Vapour, Carbon Dioxide, Methane and Others. Global Warming Global warming refers to the heating up process of the earth’s atmosphere due to the increase in the amount of greenhouse gases released through human activities. United Nations Framework Convention on Climate Change An international treaty that provides guidance on setting protocols or agreements on greenhouse gas reductions. Paris Agreement The first international agreement on climate change response that all countries have committed to. Countries have committed to reduce their emissions so that in the long term the global temperature increase is limited to 1.5 degrees Celsius above pre-industrial levels. Came into force on 4 November 2016. Nationally Determined Contributions A document that maps out a country’s plans to reduce their emissions in line with the international goal set by the Paris Agreement.